Lisseth Davis is a licensed clinical social worker. Lisseth obtained both her Bachelor of Social Work degree and her Master of Social Work from Walla Walla University. Lisseth’s graduate studies focused on children’s mental health. 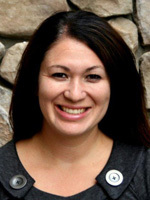 Lisseth is a member of the National Association of Social Workers. Lisseth is a state approved clinical supervisor and is a clinical lead at Northwest Neurobehavioral Health. Lisseth provides individual therapy and specializes in working with victims of sexual abuse. Lisseth enjoys working with individuals and their families and helping them through the healing process. In addition to trauma related disorders, Lisseth works with individuals struggling with life adjustments, anxiety, and depression. Lisseth grew up in Nampa, Idaho, and is pleased to continue to provide services in the Treasure Valley. Lisseth enjoys waterskiing and snow skiing and spending time with her husband, her two children, and her dog.